I am the Benton Family Historian. Jessie (Benton) and John Fremont, helped bring California and Oregon into the Union, and co-founded the Abolitionist Republican party. John was the first Presidential Candidate and was the first to free slaves. They had a salon out on Black Point in San Francisco. History is very combative. I have lost touch with much of my spiritual nature as I explore battlefields of human contention. Every now and then you find a Jewel of Enlightenment, such as the visits of Mark Twain to my kindred at Black Point. Here was the Genesis of a New Western World. Then, the U.S. Military evicted them. This is why I am fighting so hard for the land where the California Barrel Company had its roots. THEY are not THE California Barrel Company, BUT will be moving onto the land that the real CBC owned. There is contention over existing building that is stated in the Title. I taught my sister how to paint. She became a world famous artist who married Garth Benton, the cousin of the muralist Thomas Hart Benton. Above is a photograph of William F Broderick’s great granddaughter, Christine Rosamomd Benton, at the Getty Mansion in San Francisco. She founded two galleries in Carmel, and I founded a Newspaper. We were poor and hungry growing up, and there was talk of us being seperated and put in an orphanage. We overcame so much adversity. Those with Free Spirits, who know how to be released, and soar, come to Black Point and Fort Mason. Here we will make a stand for Arts and Culture. Here the Nation of California will be born. The epicenter is here. We will put on a lightshow. They will see our light in the sky, and in the bay, playing with whales and dolphins. They will marvel. Jessie Benton Fremont held a salon at Black Point. 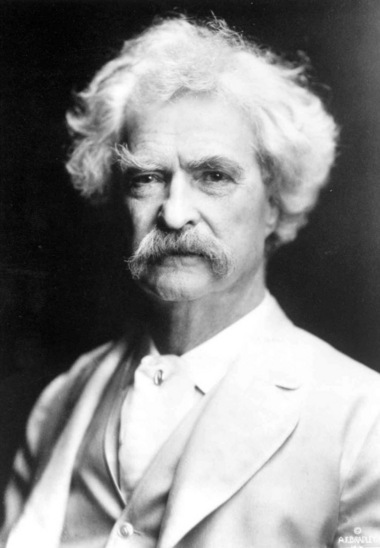 Mark Twain was a frequent guest. Rena gave me permission to install her in ‘The Muse Hall of Fame’. If not for the painting I did of Rena, Christine would never have married Garth Benton. I am the official Benton Historian. There is no other. I just read Carrie Fisher predicted her own death, as did Mark Twain, and, allegedly my sister. Carrie was hired to do a screenplay about Christine. Debbie died the next day. Blunt said, Fisher also had a scary premonition. Our members are to hear much about this Cathedral of the Soul in the near future, and at present I wish merely to announce its name and present to you a brief picture of what it is. This cathedral is that great holy of holies and Cosmic sanctum maintained by the beams of thought waves of thousands of our most advanced members, who have been prepared and trained to direct these beams of thought at certain periods of the day and the week toward one central point, and there becomes a manifest power, a creative force, a health giving and peace giving nucleus far removed from the material trials and problems, limitations and destructive elements of the earth plane. Twain’s landing place was San Francisco. As Ben Tarnoff explains in his deftly written, wholly absorbing “The Bohemians: Mark Twain and the San Francisco Writers Who Reinvented American Literature,” the city was an ideal crucible for an ambitious young writer on the make. It prospered during the Civil War and had a literate population that craved a new kind of writing. Important patrons such as Jessie Benton Fremont and Thomas Starr King nurtured the nascent talents of Charles Warren Stoddard, Ina Coolbrith, and most prominently Harte, a disciplined dandy and a brilliant mentor and editor who founded The Californian, a literary paper where Stoddard published his first poem and Twain refined his style in the fall of 1864. I am the historian of the Benton and Lane families.